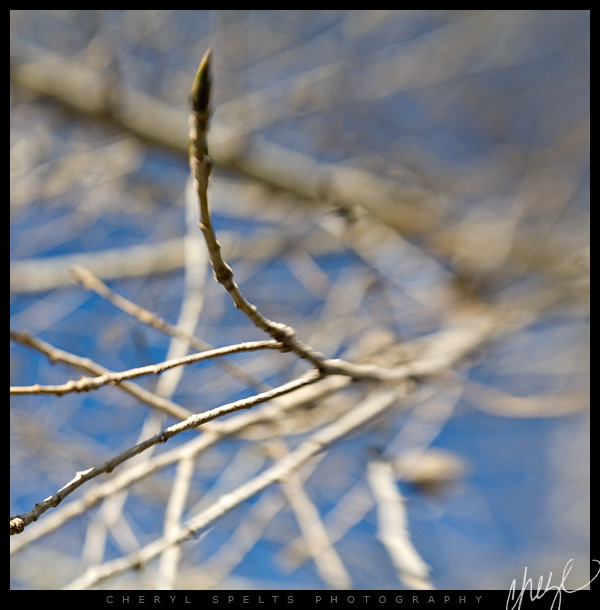 My favorite fun lens is a Lensbaby 3G. It looks really odd, and the images it creates are not exactly normal – but it’s fun, and if the conditions are right, it can create the most beautiful images! 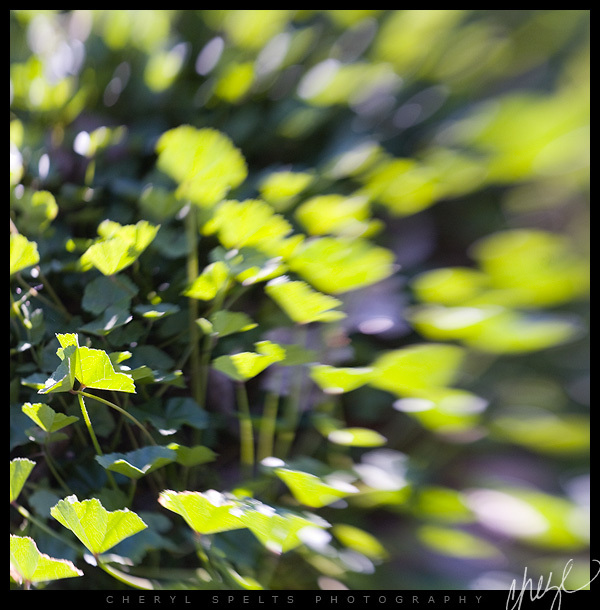 I walked around in downtown Fallbrook today – just headed north from the studio, with just my camera, my keys, and a LensBaby! 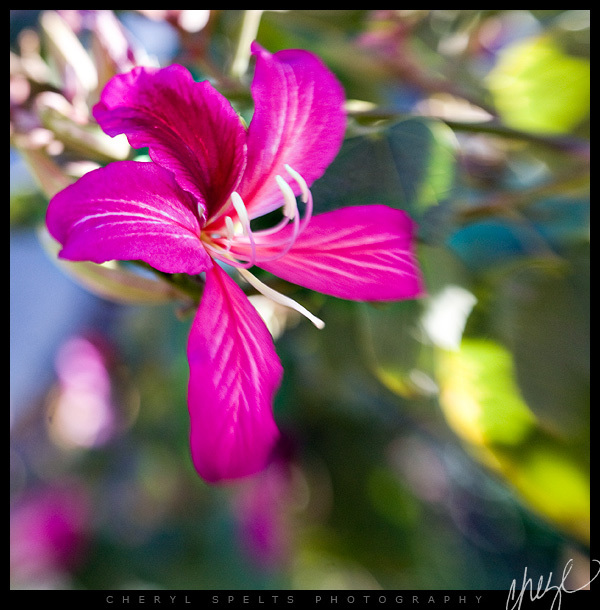 I have some attachments that make the LensBaby more versatile, but I left them in the studio – I wanted to see what I could get with one lens, walking just a couple of blocks. While I was shooting in front of the Art & Cultural Center, I looked up and noticed a woman with a camera across the street in the Village Square, and then another one, and another. Because the LensBaby is good for shooting close up, I’d been so focused on the small things directly in front of me, that I hadn’t noticed all the people with cameras across the street. I have a feeling there was a class at the Art Studios this weekend – and I was totally wishing I could sneak in and see what they ended up getting! A few of them started to make their way across the street as I started to walk back, so they were shooting in the exact same area where I shot, just moments later. It would be fun to see what other people would do – so if you’re reading this, and you were there, send me your link so I can check out what you got! 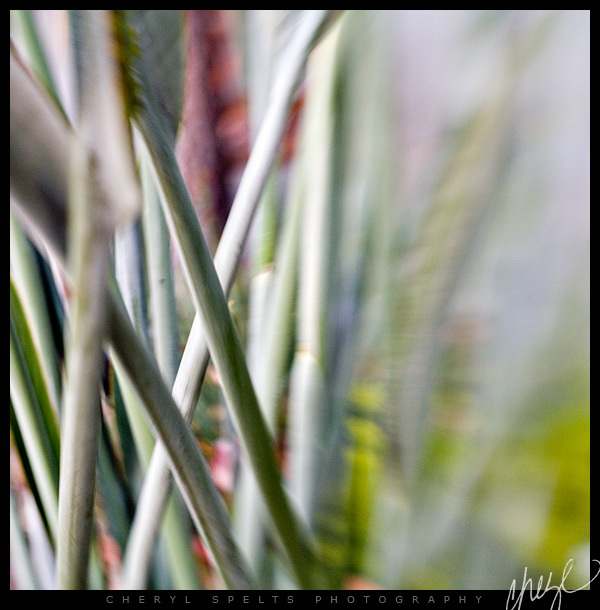 Plant life, abstracted by the lens. 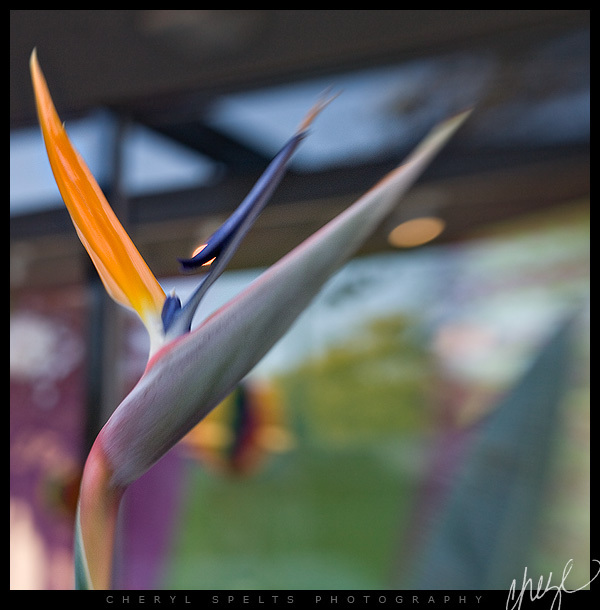 There is a large Bird of Paradise in front of the Art and Cultural Center, and these are the stems and leaves. I have a shot of a flower below from this same plant, but this is the shot I prefer. I mean look at those colors! This looks like a watercolor painting to me – it looks unreal. And look at the egg-shaped circles of confusion. Beautiful! 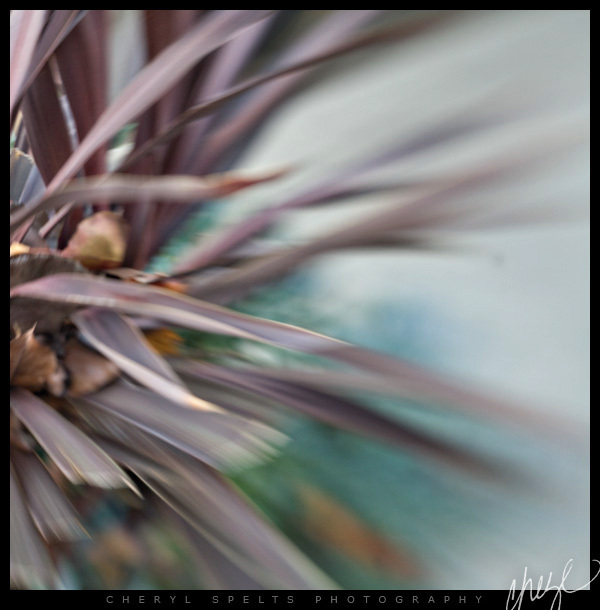 This was right in front of the Art & Cultural Center – it’s a potted plant and I love the way the leaves blur into nothingness. That is what the Lensbaby is all about! 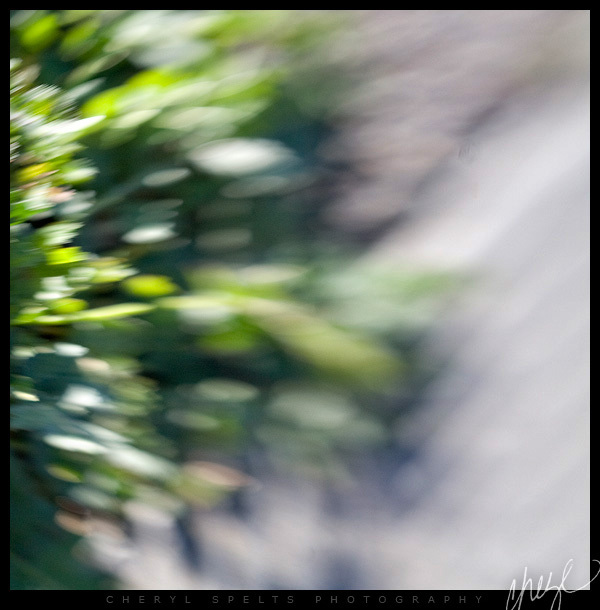 Another abstracted shot – this is a patch of weeds bordering the sidewalk – but the lens abstracts them so beautifully, it looks like paint on a canvas. The rest of the images are less abstract, but still fun. This one is the same Bird of Paradise plant as above, from another side, with the window display of the Art and Cultural Center in the background. The window is decorated in a really pretty color palette right now, and this bird fit right in. It still abstract, in that it’s the lines and colors that make the image – rather than the subject matter. 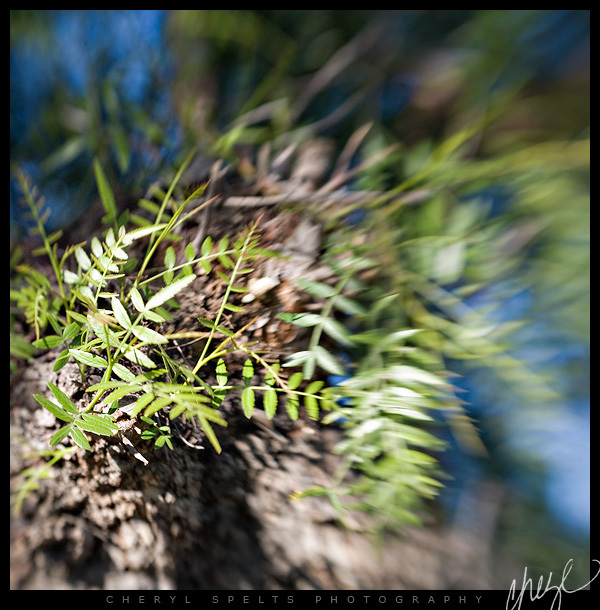 Behind the Art & Cultural Center and Primo’s, there’s an old pepper tree. One hundred years ago there were a lot of pepper trees in Fallbrook, but slowly they seem to be disappearing. This one is not that old, but it is old, and it reminds me of the kind of a tree frequented by elves and fairies and all the little creatures that populated the poems my Great-Grandma wrote to entertain us when I was a child. The sun was shining, the sky was bright blue and beautiful – my Great-Grandma would have loved this tree and this moment! 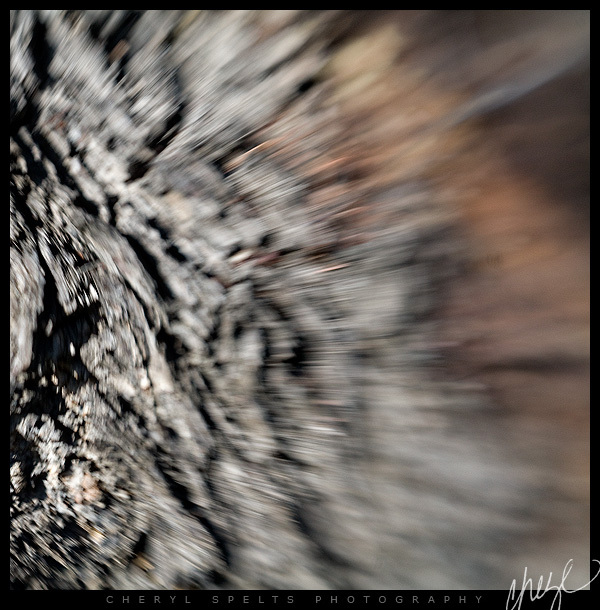 Bark from that same pepper tree. One of my neighbors has a big plant with these long yellow blooms. Each bloom is as long as your hand. On January first I shot this same tree right before sunset and it was covered in yellow-green leaves. Now it’s bare. And finally some more weeds, just around the corner from my studio. Backlit and beautiful! I love these images! They are a bit surreal…. 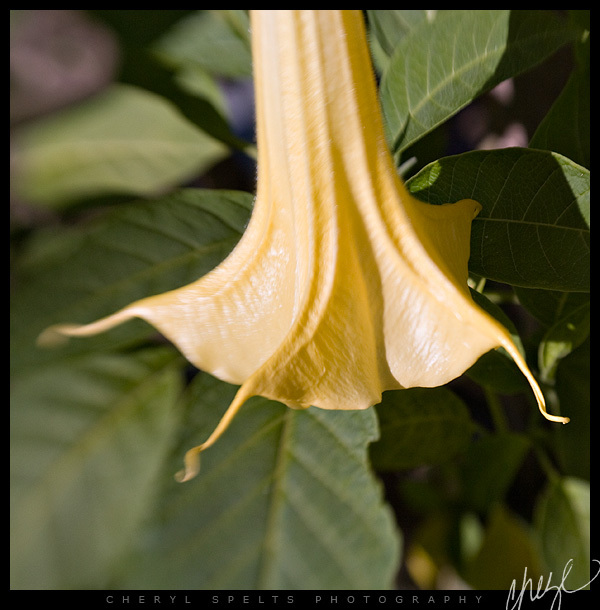 The yellow flower is a kind of datura – it's name escaping me at the moment.